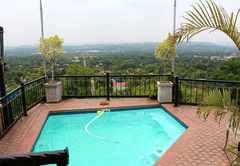 Mont Paradiso is one of the highly recommended Waverley guest houses and provides accommodation in 8 guest rooms for tourists visiting the Pretoria region. 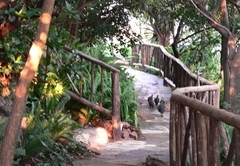 Mont Paradiso is a guesthouse situated in the Magalies Nature Resort. This is surely a tonic for the exhausted business person to recoup from the day’s hectic activities or for the traveller after a very busy day. When reaching your destination at Mont Paradiso you will be welcomed by the most breathtaking views. With only nature around you and the city at your feet you can relax in our luxurious and comfortable rooms. You can also have a glass of wine on the terrace and enjoy the view, surroundings, indigenous plant life and not to mention the bird life. 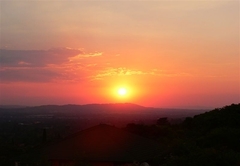 Capture the most beautiful sunsets on camera when the sun goes down over our beautiful city. For the energetic there are 354 steps to the top of the mountain to go for a hike. You can have a swim in the sparkling pool with a view of the city view or relax in the Jacuzzi if you want to be more private. Each room has its own bathroom, satellite TV, air conditioner, wireless connectivity, comfortable bedding and amenities. 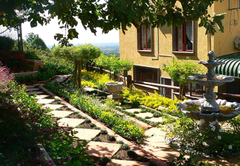 Mont Paradiso has been awarded 4 star grading by the South African Grading Council. Come and experience our hospitality. Here guests become friends. 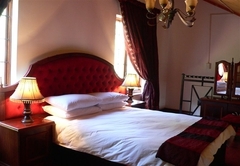 The rooms are beautiful and en-suite rooms with accommodation up to 17 guests. A room for that romantic breakaway, anniversary or honeymoon. 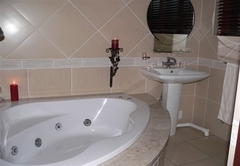 This suite caters for all your needs; small kitchen, sitting room and Jacuzzi spa bath, air conditioner, coffee and tea facilities, bar fridge and satellite TV. 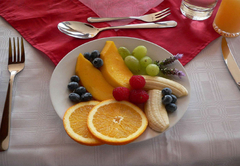 Upon request, we can arrange for fresh fruit, champagne, in room dining and a luxurious bubble bath awaits you. 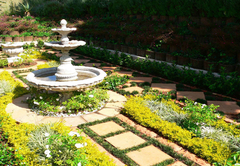 We offer a shuttle service from the airport and back and to Pilanesberg National Park, Sun City and all historical places in and around Pretoria and Johannesburg. We also serve dinner on request. The restaurant overlooks the whole city with all its sparkling lights and has a very romantic ambiance. 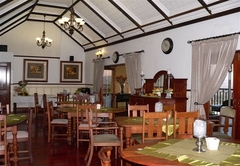 There are also various restaurants to choose from in the area. 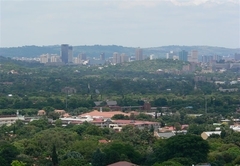 We are close to the N1, Loftus Versfeld for the rugby or soccer enthusiasts, Wonderboom Airport, University, CSIR, medical institutions, hospitals, and a lot of shopping centres. Various museums, the De Wildt Cheetah Research Station or the Hartebeespoort Dam, Union Buildings, Austin Roberts Bird Sanctuary, the Zoo and Cullinan Diamond Mine are also in close proximity. 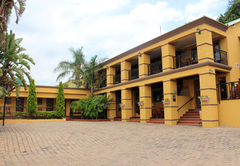 We are close to the Rosslyn, Watloo, Silveton and Koedoespoort industrial areas. Staying at Mont Paradiso will be an unforgettable experience and a feeling of being at home. 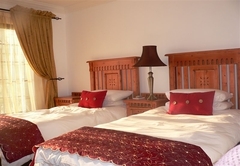 Each room has its own bathroom, satellite TV, air conditioner, wireless connectivity, comfortable bedding and amenities. Most Amazing view of the City and best guest service EVER!!! !